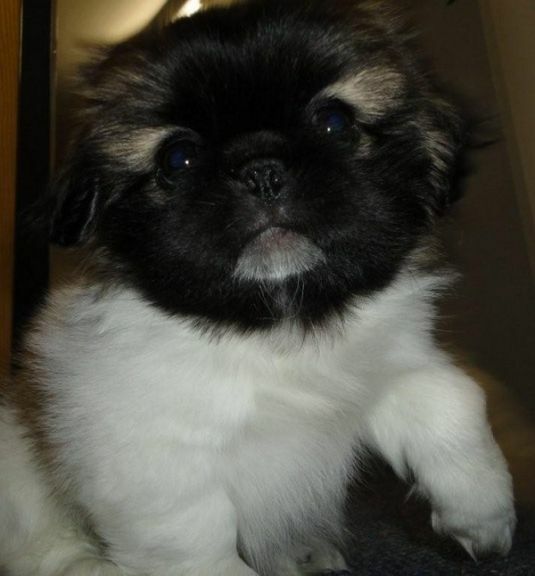 This is our 8 weeks old pure bred Pekingese. He brings great joy and laughter and can have hours of fun just playing with his toys!!! He has his own personality and is very fussy about how his food gets served up, where he sleeps at night and whether or not we are allowed to cuddle with him or not... We love him so much! omg he is the cutest thing i have ever seen. Cute but not my type!! !